I am professionally trained with an MA in Integrative Psychotherapy and a BA (Hons) in Counselling and Theology. 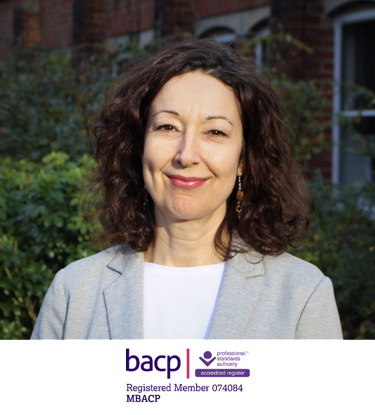 I am a Registered Member of the British Association of Counselling and Psychotherapy and work in accordance with the BACP’s Ethical Framework for the Counselling Professions and standards of good practice. My counselling work is professionally supervised, I hold professional liability insurance and engage in on-going professional development. Recent training topics have included Mindfulness and Coaching & Mentoring. I have a work background in business administration, which has given me an understanding and insight into a variety of professions, industries and higher education contexts and experience working in national, international and multi-cultural environments.